Welcome to my page! As many of you know I grew up in the sport of racquetball and that was how my parents met. Almost all of my childhood memories involve racquetball. I played on the USA Junior Racquetball team and won my first World Championship in 2006. After I graduated from ASU (Go Sun Devils) I started teaching preschool, which I loved doing and I miss those kiddos almost every day. During that time I started playing outdoor and it changed my life. Outdoor re-sparked my interest in racquetball and led to the birth of Arizona Outdoor Racquetball. It also contributed to my relationship with Daniel. It allowed us to flourish and grow into what we have today. With the support and help from my loved ones, I was able to play a couple of LPRT pro-stops and this ultimately lead to me playing full time. I will forever be grateful to all the people, companies and organizations that have allowed me the opportunity to play the sport I love. Right now I am trying to get back on the court as frequently as possible. Im having so much fun raising our beautiful daughter but Ill be back soon! I'm proud to say that I am sponsored by Key Racquetball, 3 Wall Ball, King Label and Susie. I love representing these companies and being apart of their family. 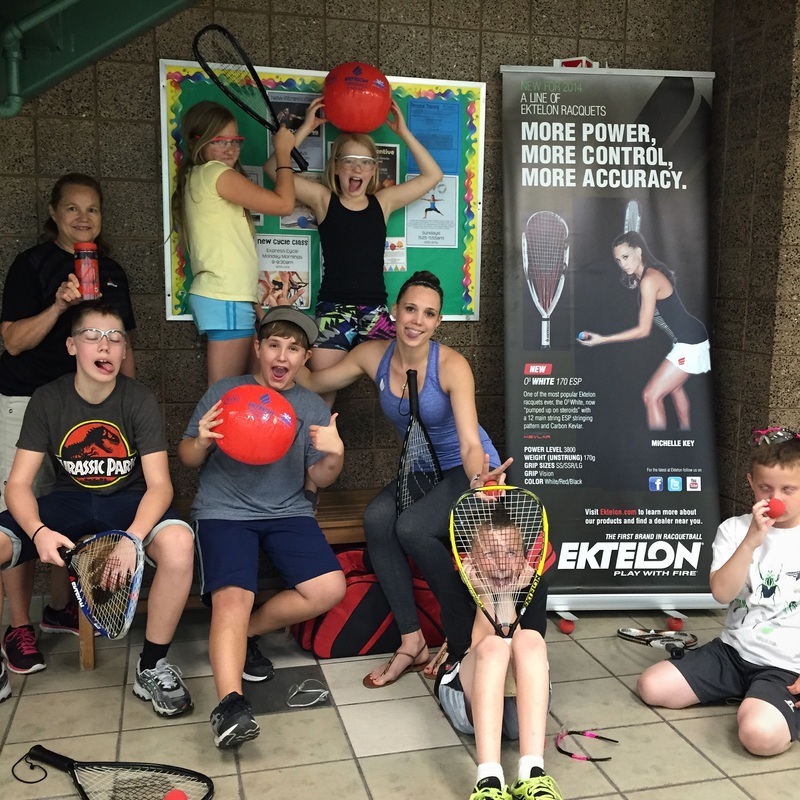 I have been with many of these companies my entire life including my main sponsors Ektelon and Key Racquetball. All of my sponsors have the best products and costumer service. I really enjoy the outdoors, baking, watching movies, hanging out and reading. I also enjoy spending time with my friends and family. I am very active and I love being able to take Grace on activities with me! Right now my main activities are golfing with my hubby, yoga and baking with Susie. Currently I'm working on building and promoting Arizona Outdoor Racquetball, women and junior interest in the sport with Key Racquetball.